Welcome back to your bi-weekly digest of the Zelda Speedrunning community. This week, we’re looking at why players are warming (up) to Breath of the Wild, why giving runners the ability to freeze momentum was perhaps a bad idea, and, in spotlight, we’ll be chatting to a staple member of the 2D Zelda communities. Excited? I know I am. 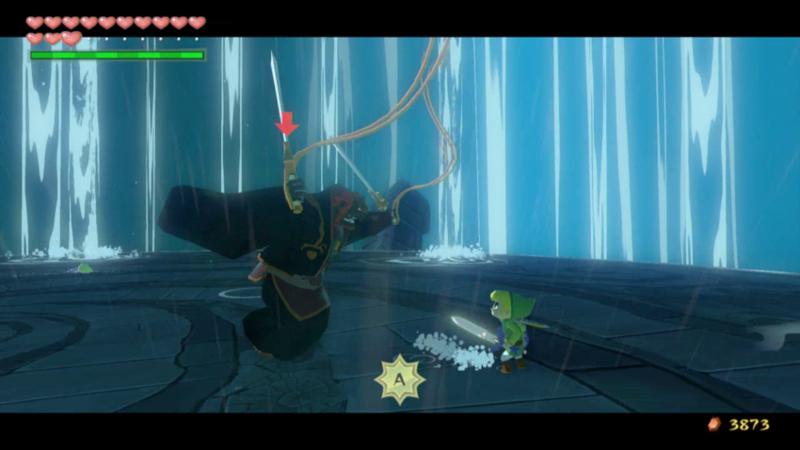 Upon reaching the very last sword slash in The Wind Waker HD, the player is prompted to perform a parry (by pressing the A button), which initiates the final cutscene. However, as discovered by the community, dying on the same frame as performing this input causes Link to die instead of the final cutscene playing. This results in Ganon being “defeated”, but the player then being death warped to outside of his castle. 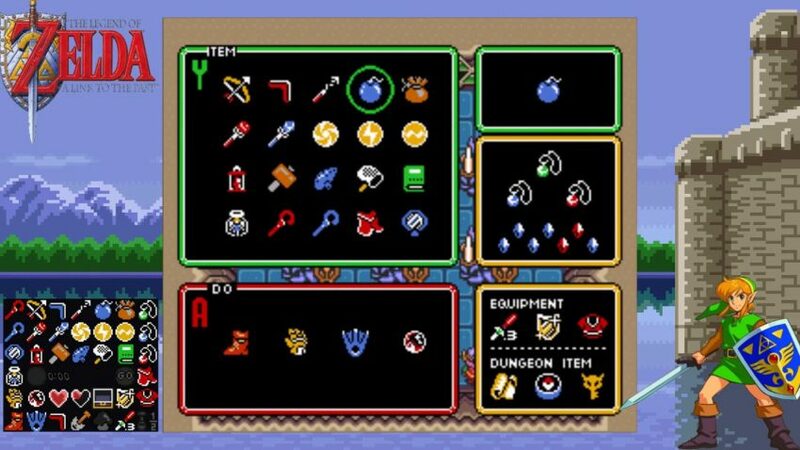 This could be used in runs such as All Dungeons and 100% to save around 5 minutes, but would also mean Ganon would be defeated in the middle of the run, not at the end (currently the Master Sword piercing Ganon is used as the final marker of runs). Because of this discrepancy, the community voted on the issue. Should the cutscene skip be allowed, resulting in the final time being taken upon walking into the blue warp in Tower of the Gods? Or should the rules be maintained, and this technique disallowed? Within the community, several arguments for both sides were brought up. Those against the changes suggested that “All full run categories currently end upon completing the game, which this method does not do”, “The game is completed upon reaching the credits. This glitch causes the credits cutscene to not play” and “Ganon can still be refought, meaning his tower, the final dungeon, is not complete”. Those for the change argued “The requirements for All Dungeons are to complete all dungeons and defeat Ganon. These are technically met”, “Categories such as Din’s Pearl and Master Sword RTA don’t’ require game completion” and “It adds variety to the categories, and also saves time”. A vote was held, the results of which were announced on the game’s Discord server. Receiving a total of 42 votes, the poll decided against the rule change, opting to keep Ganon as the final timing of All Dungeons. As a result of the vote, however, the community has decided to change the wording of the categories rules to avoid any further confusion. Also this week, a Breath of the Wild Obstacle Course challenge was announced, challenging players to cram as many of their favourite tricks and glitches into a 3 minute video as possible. Winners will be chosen based on execution, difficulty, uniqueness and style, with the top three entries being awarded a cash prize and a subscription to ZeldaSpeedRuns’ Twitch Channel. The competition is open to everyone, even you! If you’d like to enter, head over to the ZeldaSpeedRuns website for more information! If I were to ask you which of the four Breath of the Wild Runes were the most important, what would you answer? Bombs can be pretty useful, both for exploration and combat. Cryonis can be used to travel across large bodies of water. Magnesis, well it can be used to smack a Lizalfos around with its own boomerang, and who doesn’t love that? But what about Stasis? Well, it’s the Rune of choice for runners of this game. By exploiting certain features of the Rune, they can use it as a method of very quick travel across short to medium distances. There are two mains types of this exploit, Stasis Travelling and Stasis Launching. Stasis Travelling is the act of giving an object momentum in a certain direction, then having Link climb on this object and hold on for dear life as it catapults through the air. This can be used to travel large distances both horizontally and vertically (in a varient called a Vertical Stasis Launch). 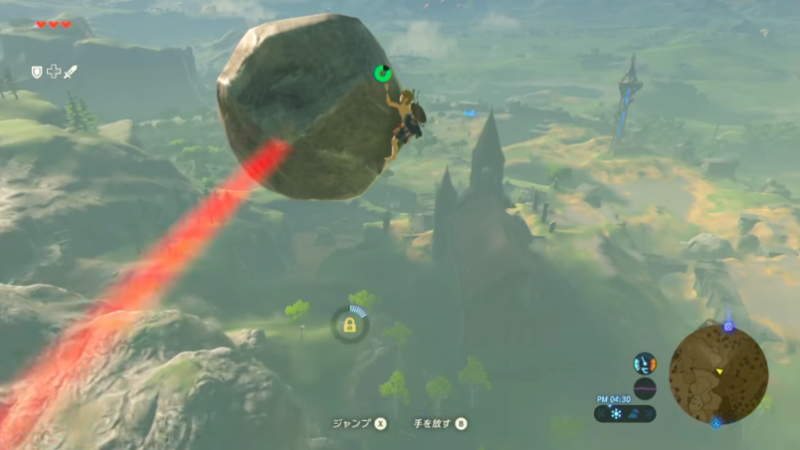 The objects in question can be anything in game which allows Link to climb it, including boulders and trees. This type of travel appears often on the plateau area, where it is used just after completing Owa Dam (the Stasis Shrine) to travel quickly to the bomb shrine, after which it is used again to travel straight onto the roof of the Temple of Time. After this, once Link has obtained the Paraglider, he is able to perform the second type of exploit, the Stasis Launch. Similar to the above method, this involves using an object’s momentum to catapult Link at high speeds through the air. This time, however, Link jumps in front of the object just as its Stasis runs out. This transfers the object’s speed to Link, who goes flying through the air, where the runner can then pull the Paraglider to carry on flying. This exploit has a much wider variety of objects which can be used. 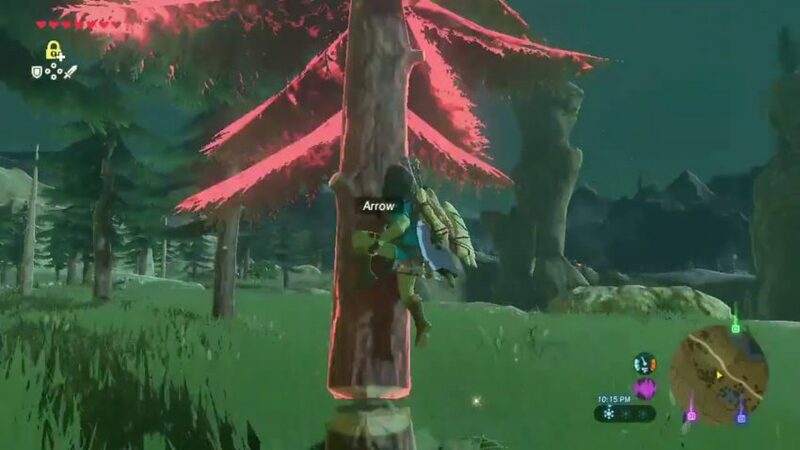 Like above, trees and boulders can be used, however so too can amiibo crates (spawned from the guardian amiibo), breakable pots, and just about anything that can be used by the stasis rune. Amiibo crates in particular are used very frequently in the All Shrines (amiibo) category, as a method of fast travel within an area. The difficulty of the launch depends on the object storing momentum, but, in general, jumping forward (or backflipping) into the path of the object just as the second to last beep of the Stasis effect sounds should give the desired effect. Not so fast though. Before you go jumping in front of boulders, trees, and flying Guardians (that last one won’t work), there’s something called the Ragdoll Glitch you should know about. You see, Breath of the Wild’s physics engine is a merciless beast, and brings this glitch out just when runners expect it the least. By un-equipping a shield while in mid-air, Link is put into a glitched state, where any damage received will create zero knockback. 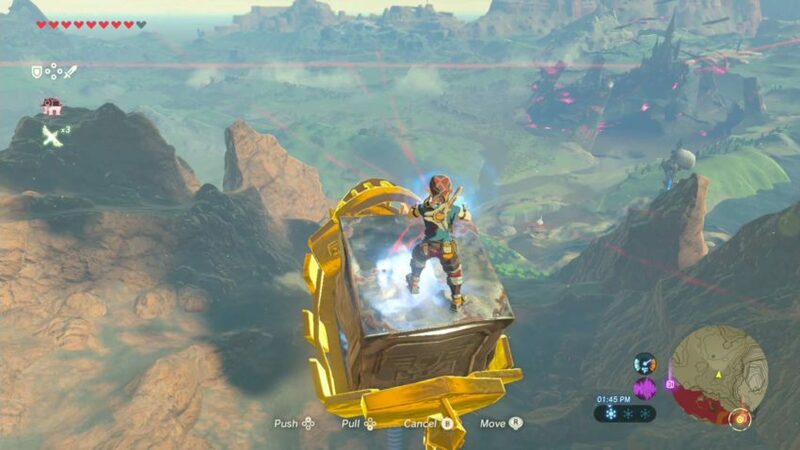 This is obviously a problem for Stasis launches, as a crate which would usually knock Link halfway across Hyrule will now just tickle him. Thankfully, any action which would normally send Link into ragdoll mode (such as taking damage from a bomb, shield bonking, etc) will remove this glitched state, allowing him once again to fly across the ruined kingdom below. A high speed version of stasis launching was discovered recently. Super Speed Launching takes Link to incredibly high speeds as he glides through the air. The exact cause of this glitch is unknown as of right now, however the community believe it has something to do with pulling the Paraglider on a specific frame after executing a regular Stasis Launch. If a consistent set-up is found for this trick, it could save around 5 minutes in an Any% run, and even more in longer categories. A comparison between the speed of a regular launch and that of a Super Speed Launch can be found here. JSR_: Hi! My name is James, but you can call me JSR I’m a lifelong fan of “The Legend of Zelda” games, and of course grew up playing a lot of Zelda on the NES, and A Link to the Past on SNES. I also love retro gaming in general, growing up with Mario games, the Donkey Kong Country series, the Castlevania games, and more. I am currently attempting to be the first person in the world with a sub-30 in Zelda 1 Any% No Up+A (PB of 29:18, 7th in the world), a sub-80 in Zelda 2 100% All Keys (1:16:56, 11th) and a sub-90 in A Link to the Past No Major Glitches (currently 1:31:42, but not for long!). As of this moment, I have the fastest combined time in the world in these games (you can view the current leaderboard at https://goo.gl/5S5oCD ) I hold the world record for the FDS version of Zelda no Densetsu: The Hyrule Fantasy, and I’ve held world records for Wario’s Woods on the NES and Fisher-Price: Firehouse Rescue as well. I also run Link’s Awakening for the original Game Boy (and would like to learn DX sometime in the future). As far as discoveries, I have done some work in the current WR route for The Legend of Zelda 100% (No Up+A). I’ve added a couple minor strats, nothing spectacular. EC: Having run almost every 2D game in the Zelda series, you’re clearly drawn to them over the 3D entries. What is it about the older games that make you want to run them over the newer entries? EC: The A Link to the Past Community is one of the largest Zelda Speedrunning communities. What is it about this game in particular do you think draws so many people to it? JSR_: A Link to the Past is, in my opinion, the pinnacle of the classic Zelda formula that we’ve seen echoed throughout the years. A perfect balance of challenge and fun, a diverse combat system with insanely fun items to utilize, brain-twisting dungeons with intimidating bosses awaiting at the end… it’s already one of the greatest games of all time. As a speedrun, however, it brings to the runner a challenging speedrun full of tricks, scary moments, and optimized movement that, at almost all times, is extremely fair to the runners’ skill level. Nine out of ten times, when a runner makes a mistake, it’s his or her own fault. So when you have that run… when everything just clicks… something about it feels so insanely good! EC: You’re also a keen runner of randomizers. Could you give a quick explanation of what these are, and why they’re so interesting to watch and take part in? JSR_: The randomizer community is growing at a staggering rate, and that’s because of what it brings to the table. As a speedrunner (or any classic gamer), games like The Legend of Zelda, Super Mario Bros. 3, A Link to the Past, etc… they’re still fun games, but they don’t ever change. 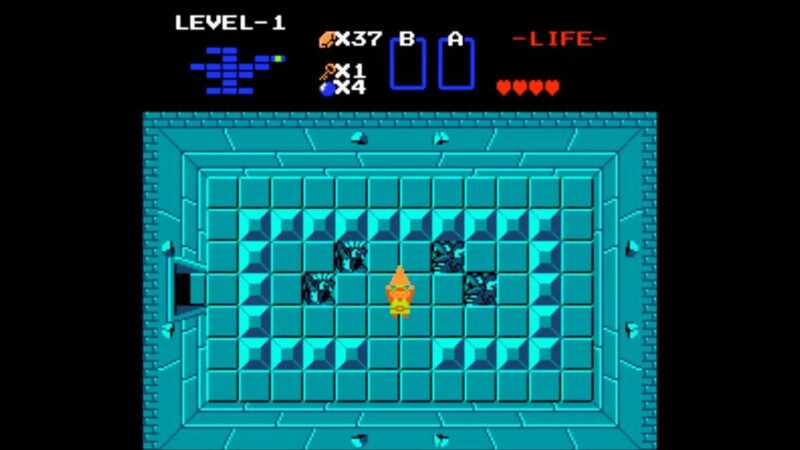 I can never play Zelda on the NES again and see it the same way I did when I was a little boy. However, with randomizers, it presents a number of challenges that the vanilla game cannot offer. Knowing the game is half the battle; your ability to adjust and route on-the-fly, go into combat over (and sometimes under)-equipped, and to recognize the tips that the game gives you offers the chance for an advanced player to experience a new challenge. Moreso, it restores some of that new-car smell, so to speak, that a player of the game hasn’t felt in decades. It’s almost like having a 3rd quest, or a second Dark World… but in fact, the possibilities are almost literally endless! With these new randomizers, players can relive their trips through Hyrule (and other game worlds) until the day we hang up our gamepads! JSR_: I think I would run Zelda 1 Randomizers. The variety and challenge is enough to keep me entertained forever. But if I have to choose a vanilla game I’d go with Zelda 1 Any% No Up+A. The RNG and skill mix is fair and the run is cerebral enough to keep even experienced runners on their toes. There are no boring or “easy” spots and little downtime, but the run is short enough that it’s not a huge commitment. 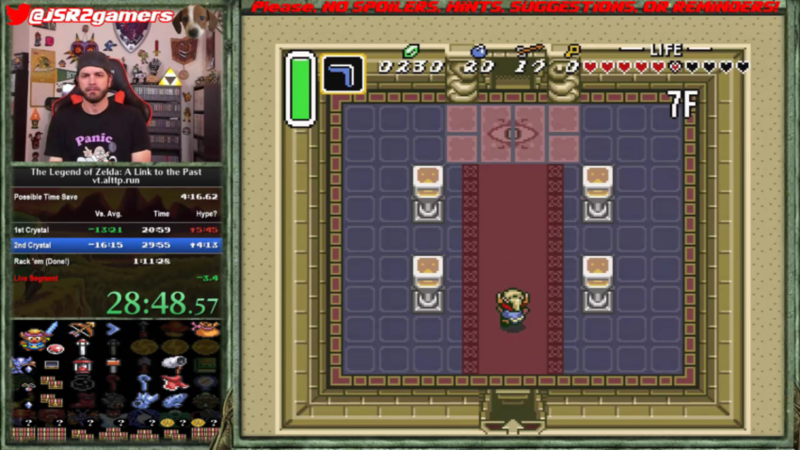 Since our chat, JSR_ has become the first runner ever to hit the 30/80/90 milestone (complete Zelda 1, 2 and A Link to the Past respectively in these times. He can be found on his Twitter and Twitch Channel. Lots of variety this week. Sometimes a runner from a particular community will methodically go through a certain rule set or extension category and clean up un-optimised records, this can be seen in this week’s Legend of Zelda Swordless section. Alright, time to look ahead to the exciting speedrunning events taking place over the next fortnight. Next Level Speedrun Showcase – 19th May ~ 21st May – Held in the Next Level store in New Jersey, this event has a grand finale of The Legend of Zelda and A Link to the Past. Distant Star Cares / Play Live 2018 – 24th May ~ 28th May – Speedrunning marathon held to raise money for various charities, including Extra Life and St. Jude Play Live. The second last run in the event is A Link to the Past randomizer. Benelux Speedrunner Gathering Monthly #23 – 26th May ~ 27th May – Monthly and Yearly events held in order to raise money for the Dutch Cancer Society. No schedule announced just yet, so keep your eyes peeled! RetroSpelsMässan 2018 – 26th May – The biggest retro convention in Scandinavia has run annually for 5 years now, and is hosting a short but sweet speedrunning marathon, featuring Ocarina of Time any%. Kingdom Hearts Relay – 27th May – Fan of the Kingdom Hearts series? Then this is the event for you, spanning over 20 hours of the day. Obviously no Zelda titles making a surprise appearance, but this still promises to be quite the event. And that’s all from me this week! What with the weather starting to be a little more friendly (sorry Australia), you might be tempted to go outside and do some sports instead of staying in and watching speedruns all day. Ah well, don’t worry – I’ll take one for the team (I’d just burn anyway). As always, questions and comments are always welcome, both here and on Twitter! 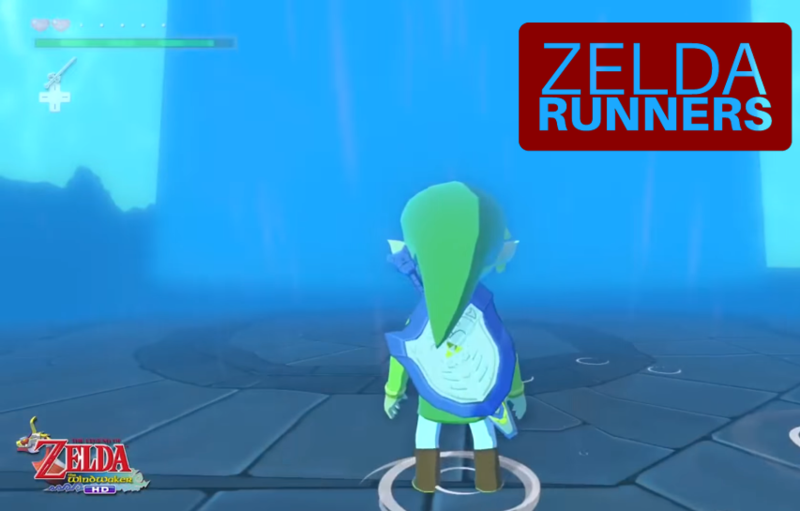 Euan Crombie is the host of Zelda Dungeon’s bi-weekly Zelda Speedrunning series, Zelda Runners. He can be found on Twitter, and can’t leave the house until the sun goes down.